Midstream oil and gas infrastructure projects don’t have a great track record for staying on budget and on schedule. A new report from Trimountaine Group entitled Midstream Construction Risk Report: Reining in Midstream Project Costs sheds light on the sources of the variance and the significance for the industry. Trimountaine Group analyzed data on 246 midstream projects from 2009 through 2014 totaling more than 3,000 lines of data to find out where projects stay on track and where they deviate from the plan. These projects were developed by 58 operating companies, which when consolidated with their conglomerate organization represent 29 corporate parents. Every project has a risk profile, and there’s a definitive relationship between the size of the project and the risk associated with it. Typically the bigger the project is in size, scale and complexity, the more likely it will overrun on budget and schedule. The study found that mega projects (greater than $500 million) overran 16-17% on average, whereas projects in the $10-50 million range typically came in under budget. Since mega projects will likely be the norm in the future, the industry faces a significant management challenge. Companies may need to acquire new skills and capabilities, as well as develop new processes and plans to successfully complete riskier projects that are layered on a much larger capital base. Although the relationship between the size and complexity of projects and the probability of overrun is intuitive, some of the report’s findings were surprising. While overruns are often blamed on design error and changes in project scope, the study found that those types of engineering issues represented only about 15-20% of all overruns. Clearly, the time the industry has devoted to driving better capital performance by improving upfront engineering and ensuring that designs were well understood before going out to bid was well spent. The main culprits for overages were contractor performance and inflation, and neither one has been a focus for improvement. Some companies consistently delivered projects successfully, but a couple operators overran their projects 30% on average. Moreover, companies often assumed that materials and labor would be a certain price, but then they varied significantly because of external pressures. When Trimountaine Group drilled down on the geographic data, the researchers expected to find significant variance in labor costs in the south, especially in Texas and the Gulf coast. At the time these midstream oil and gas projects were being built, the press reported widely on the huge labor constraints in the region. As Trimountaine Group dove into the numbers, however, they found that companies allocated properly because they were aware of the risk. Interestingly, some of the larger overruns actually occurred in projects in the mid-Atlantic and Midwest regions. Over the next 20 years, Trimountaine Group anticipates that midstream oil and gas infrastructure will overrun budgets by as much as $140 billion. 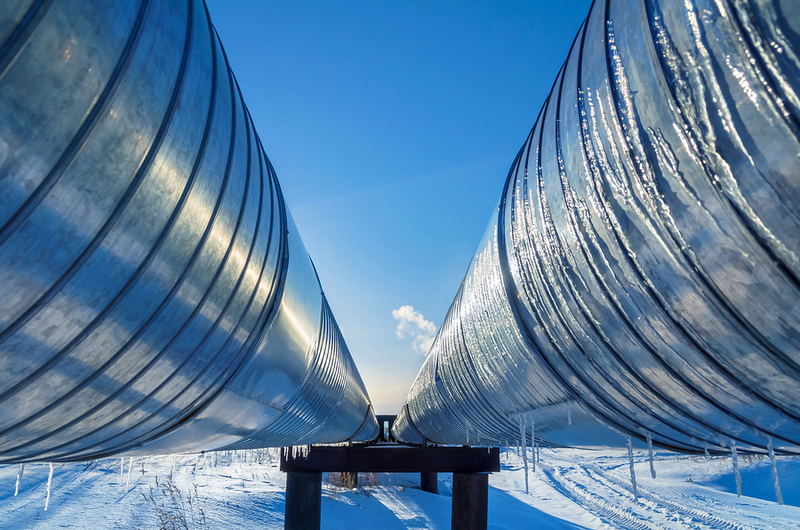 The high price tag reflects the risks involved in repairing existing pipelines, accessing resources in more remote and geologically diverse locations than ever before and responding to climate change. Its outlook is for the median project cost overrun to increase, the number of projects coming in on budget to decrease and the overall price tag for infrastructure projects to increase. The industry will need to brace itself for even worse performance unless better controls and processes are put in place. Companies have already started doing that, but some gaps still need to be filled. For starters, Schuster recommends handling cost variance earlier in the process. That requires diligence upfront to understand what the true costs are going to be vs. optimism around what they could be.